Here is session slide as well! 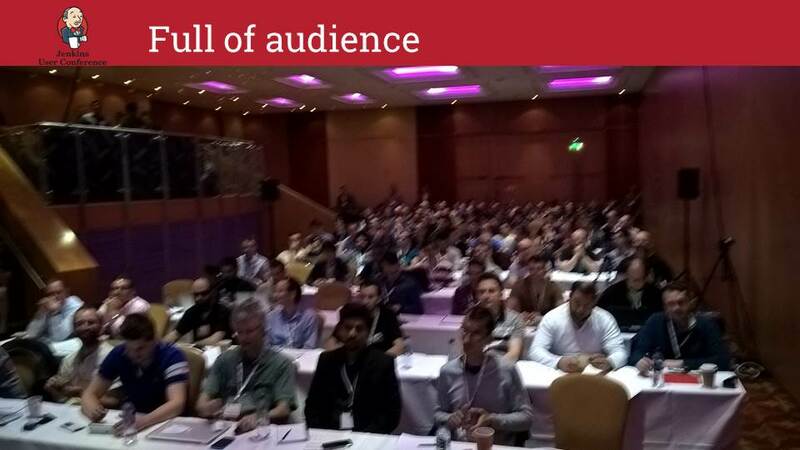 Last week, I joined Jenkins User Conference 2015, Europe, at London, UK. It’s really exciting event, and I got so many new knowledge about Jenkins at there. Here is just several photo to as memory of the event!. 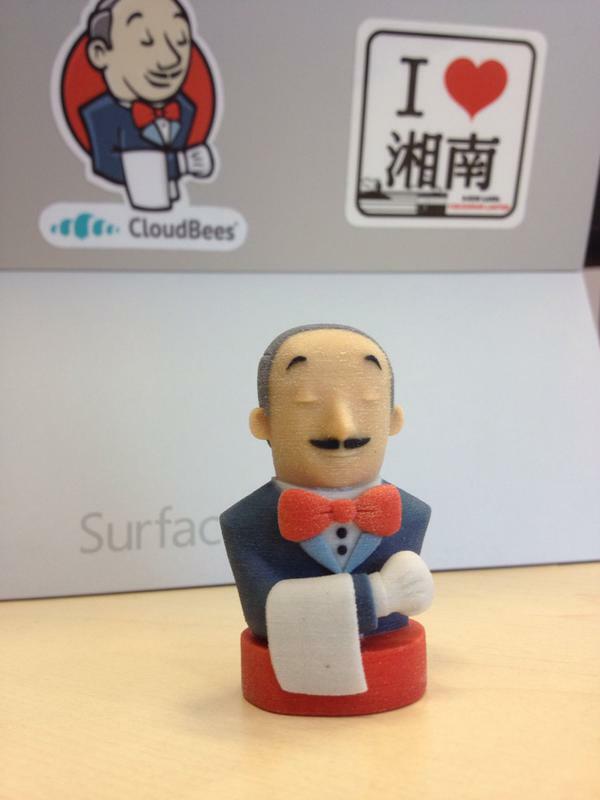 I’m so happy to get this 3D JenkinsCI model, as prize of JenkinsCI 100K installation blog contest. With him on my desk, I don’t fear anything anymore. Enhance to make DevOps things! 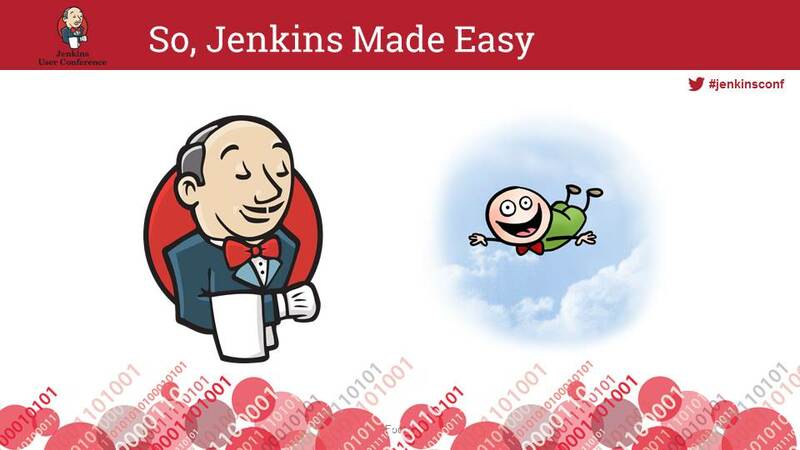 Thank you Jenkins to help us to make Continuous Delivery. 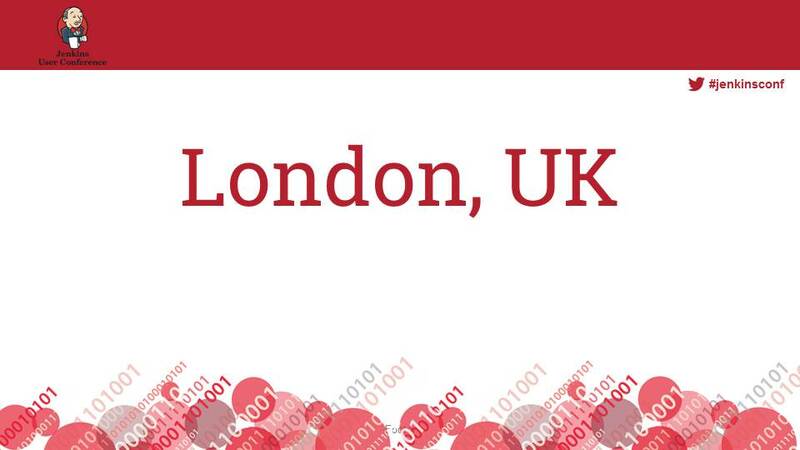 At 23rd and 24th June, I’ll attend Jenkins User Conference 2015 Europe at London. 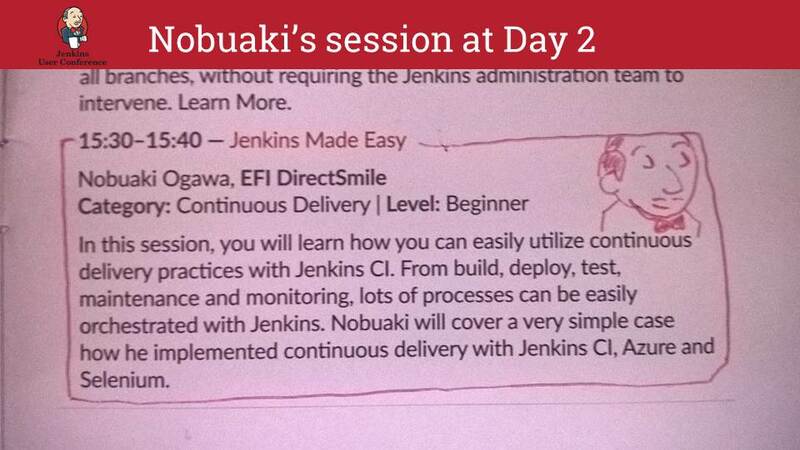 And I’ll make a lightning talk about Continuous Delivery with Jenkins. Here is short overview of what I’d like to talk about at there. My name is Nobuaki Ogawa, from Japan, and currently working on Berlin, Germany for Software company DirectSmile as DevOps QA Manager. From very first time I got know JenkinsCI, it helped my life really lot. 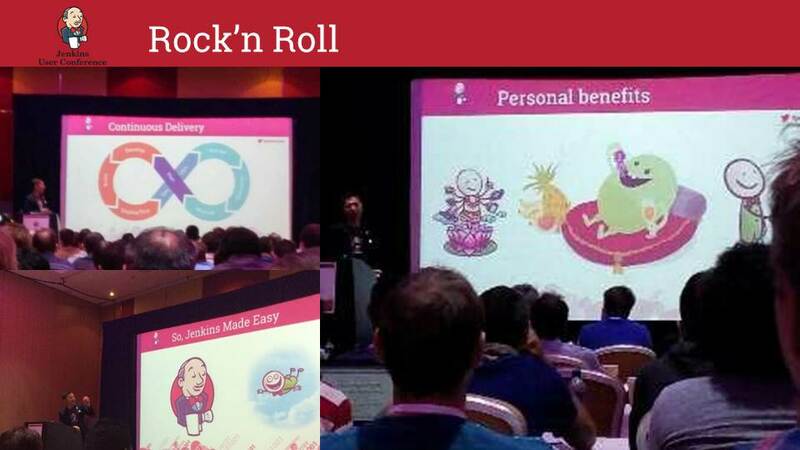 Almost all my work I’ve done at last year was mainly with Jenkins, about Continuous Delivery. From Build to Deploy, Test, and even Maintenance, Monitoring, my Jenkins takes care everything. It was super easy to achieve the Continuous Delivery in DirectSmile world by getting help of JenkinsCI. 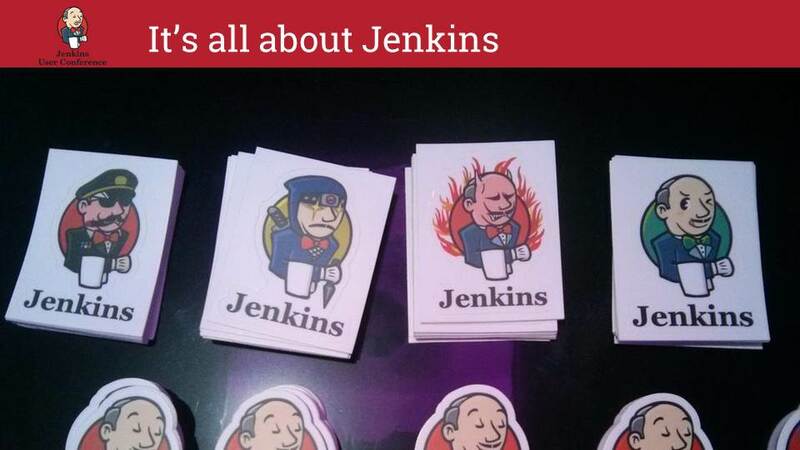 It was start point to get know JenkinsCI. 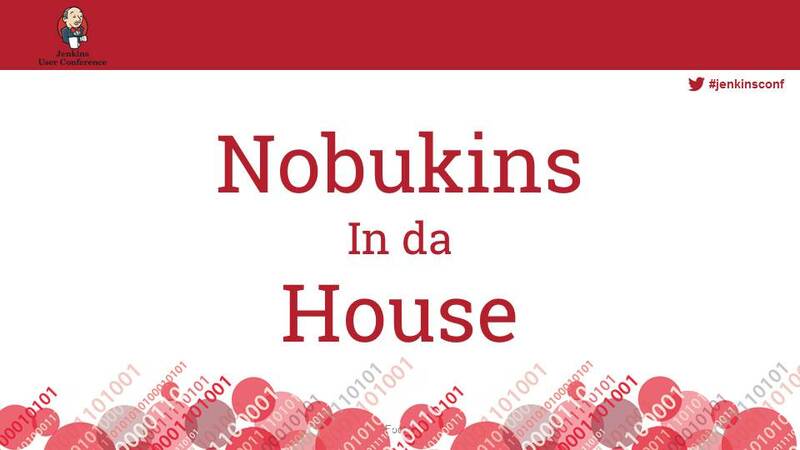 Our developers use JenkinsCI to make the Continuous Build of our software. So, our develop environment was quite Jenkins friendly from the beginning. We had to have environment where we can deploy our new build. As we are one of big fun of Microsoft, we decided to use Azure as our environment to make Continuous Testing. How we control it? We use Powershell, which would be executed by JenkinsCI. 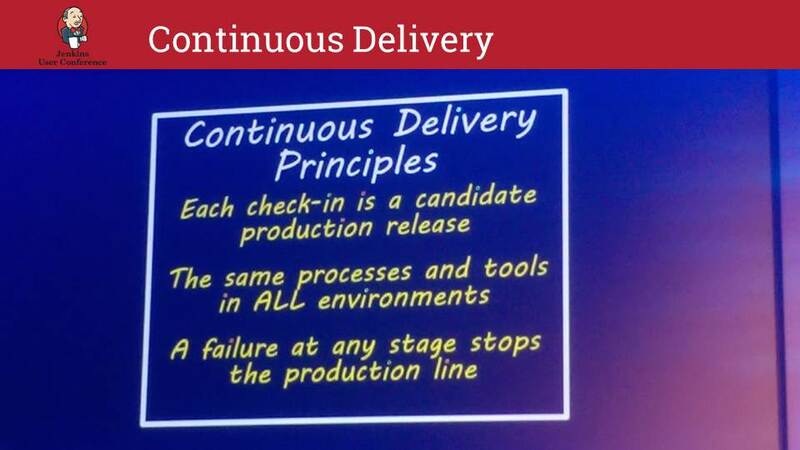 How we could achieve the Continuous Deploy, actually, my boss, who is DirectSmile’s Yoda developed very powerful tool “DirectSmile Installation Service” to enable this. 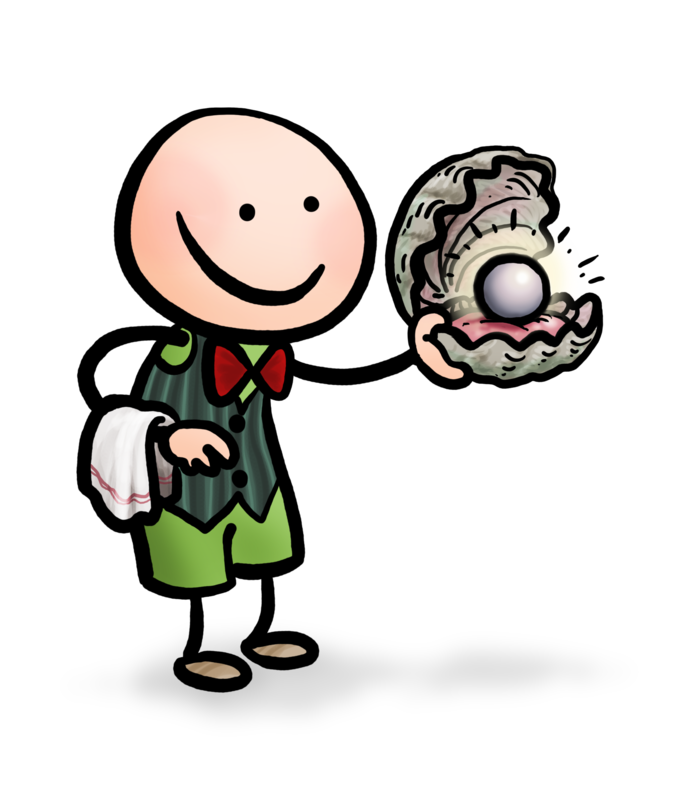 So we integrate this tool within JenkinsCI, and now Jenkins can deploy DirectSmile products on any target server by just one-button-click! Of course, we use JenkinsCI to make the Continuous Testing. We use Selenium to make and run test. So we can cover almost features and we can execute it at anytime. 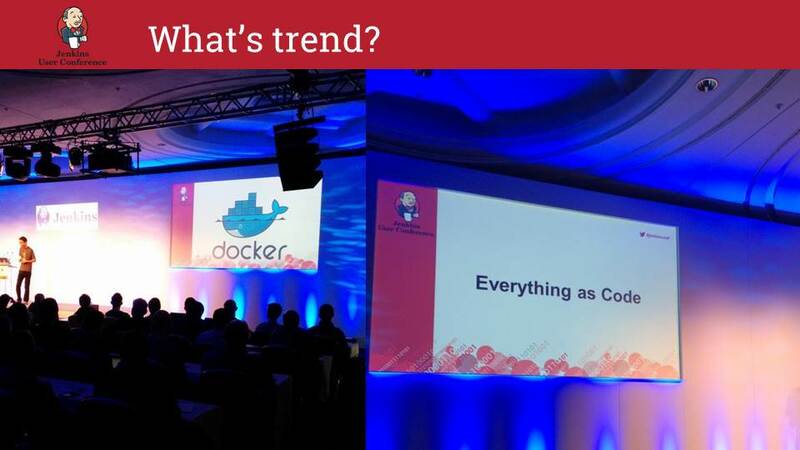 We are doing it every after new version build, to realize Continuous Delivery. I think it’s important to share all knowledge and experiences I got with others, especially whom just start to make Continuous Delivery. Don’t worry, it probably much easier than you think. 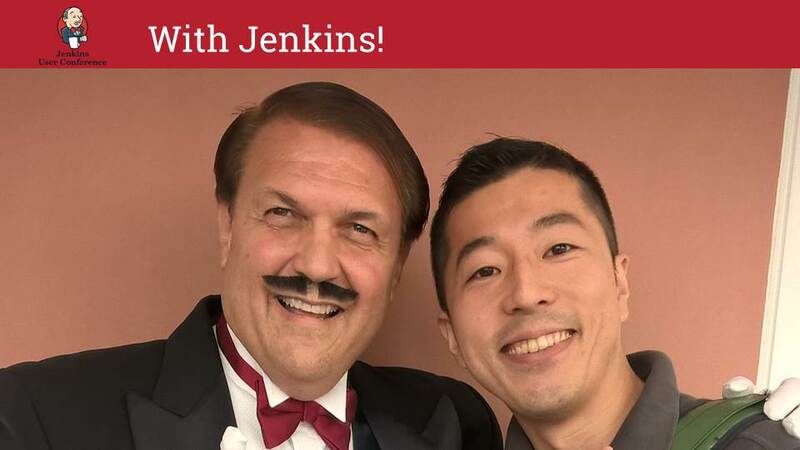 As part of this practice, I’d like to share all my knowledge and experience how it’s easy to achieve Continuous Delivery by Jenkins at JUC 2015. I’m really exciting to meet and talk about this on there! 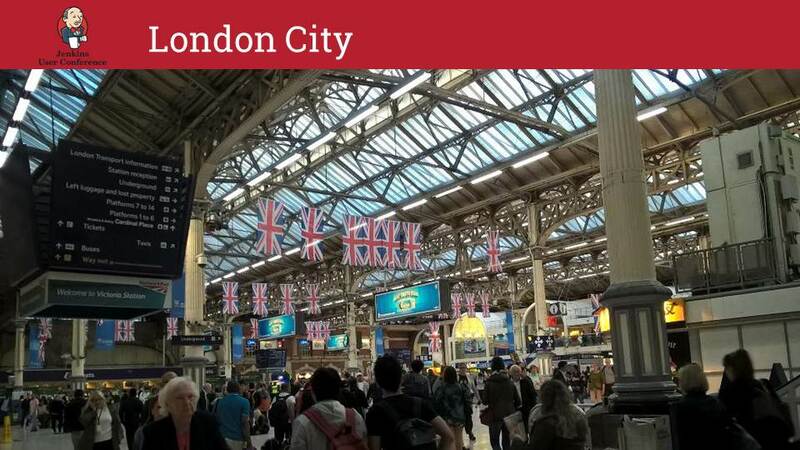 See you on JUC 2015 @London! 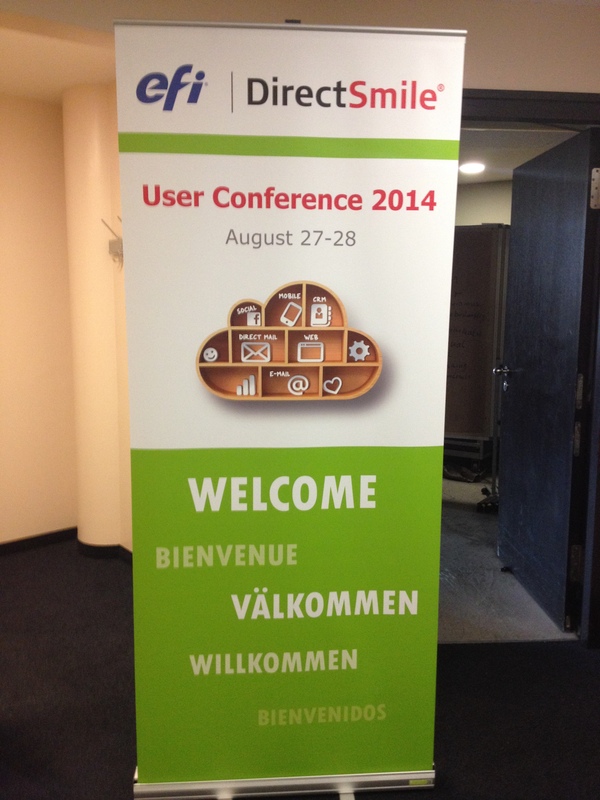 Thank you for all DirectSmile User who came Berlin at last week! It was more than pleasure to meet you, and I really would like to tell big thank you for everyone, once again! As side work of the User Conference, I made one small campaign based on my User Conference experience of “Jenkins User Conference 2014, Berlin”. They had a multiple screen beside of main screen which showed presentation itself. With those extra screen, they have showed “Live Tweet” which has specific #Hashtag. 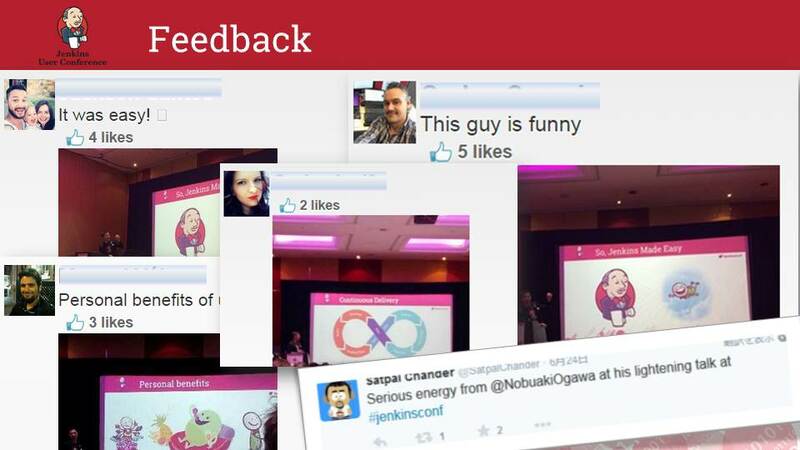 For me it was pretty nice, because I even can see other’s direct feedback at same time. And purely sure, this would be a kind of “must have thing” for the conference which you will invite lots of people. As you know, interactive communication is more important than 1 way presentation. What was the result? You can just check all of direct feedback in below! So here is how you can very easily make such Crossmedia Campaign which just display specific tweet that has specific #Hashtag. –> You just need to place those code which you will see at the bottom of the timeline preview on Widget creation page. This way, you can make such campaign in 5 min! 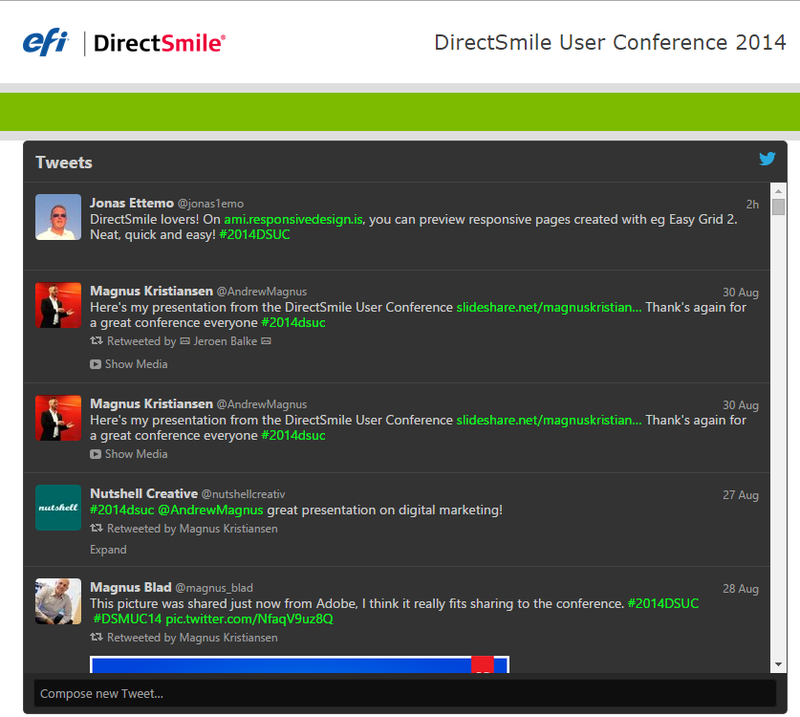 And you even can offer them as additional Conference tool! How much you will charge this for your client? In the case you’d like to show “embedded Timeline” with much wider than default, you can control is by CSS. Thank you everyone! and see you again at next time! 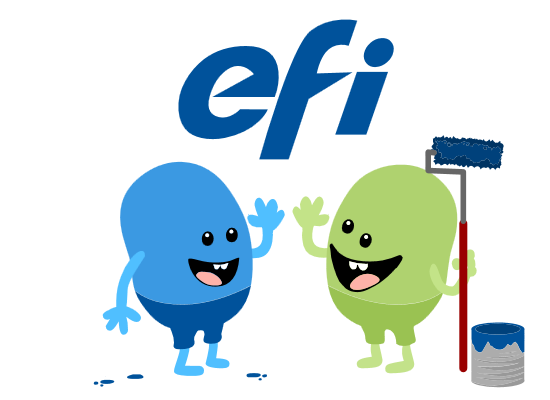 Yes, now we are efi DirectSmile!! I’m really exciting about our furture!